The latest update of the Steam Hardware survey has brought with it some intriguing numbers for those using Nvidia’s RTX Turing graphics cards as well as AMD’s Vega line. Although stats have existed for some of those GPUs for a couple of months, this is the first time that the RTX 2080 Ti and AMD Vega cards have been included, suggesting healthy growth for those high-end options. Just shy of 74 percent of Steam gamers use Nvidia graphics cards and that hasn’t changed much over the past year, as PCGamer highlights. There have been some changes in the numbers for individual graphics cards over that period as gamers have shifted from one to another, and new gamers have joined Steam (all results are percentage aggregates). 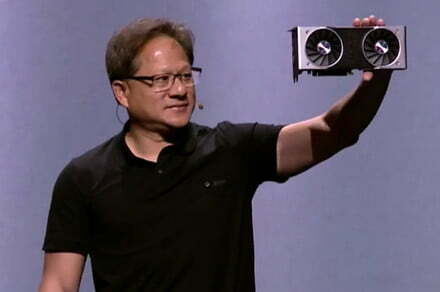 At the time of writing, though, the top 13 graphics cards are Nvidia branded. The GTX 1060 is by far the most popular with a near-15-percent share of all Steam gamers. It’s followed by the GTX 1050 Ti and 1050, with 9.34 and 5.19 percent, respectively. You have to go a long way down the list to find one of Nvidia’s new Turing graphics cards though. The RTX 2070 has increased its stake from 0.17 percent to 0.33 percent in the past month, while 0.31 percent of Steam gamers are running an RTX 2080. AMD’s flagship Vega graphics cards are all bundled together, lumping the Vega 56, 64, and more recent Radeon VII in one category. Together they make up just 0.16 percent of all Steam gamer systems. Collectively they are a little more popular than the RTX 2080 Ti. That may be because of the greater pricing of Nvidia’s top consumer Turing card, or partly because of the stability issues that have been present with some Founders Edition cards since their release. There is no sign yet of Nvidia’s more recent release, the more midrange RTX 2060. Its $350 price should mean it ends up in more systems than the comparatively costly RTX 2070 and 2080, though we would expect that the allegedly even more affordable GTX 1660 Ti would end up more popular still. Both Nvidia and AMD’s midrange and entry-level graphics cards tend to be the most popular for each successive GPU generation, even if they are so often judged by the potential of their high-end offerings.